Price (incl.vat) 372.00 - 386.90 € / pcs ✔ Delivery time 1 - 9 working days. ✔ In stock. 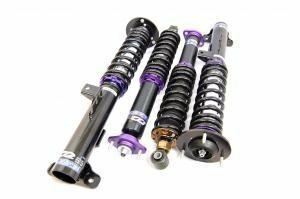 When you require excellent performance for driving in street and appearance Eibach Pro-Kit springs are the optimal choice. Lowering will lower centre of gravity reducing squat on acceleration, curves and while braking. Eibach Pro-Kit springs are not just a touch for the driving feeling, but also for the appearance - less clearance between tire and fender. Every Eibach Pro-Kit is designed and tested by our suspension engineers and performance driving professionals to deliver aggressive good looks and high performance handling. 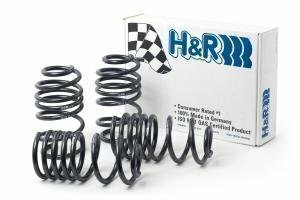 Recommended for use with shorter shocks for maximum performance, but can be used with original shocks aswell without a problem. Note: Factory lowered cars like BMW M-sport, products lowering is less than informed. Eibachs informed lowering is from original height, so the factory lowering is deducted from Eibachs informed lowering. 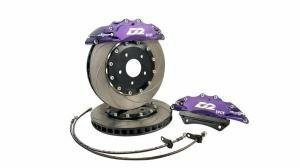 Eibach kits notes you can find from link below. 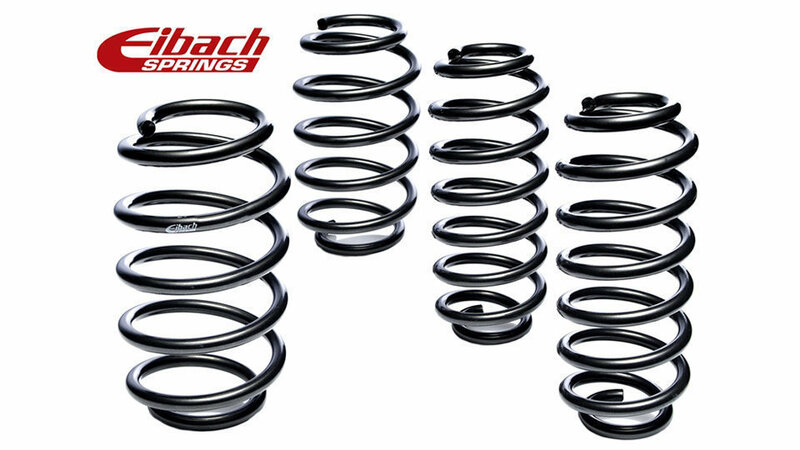 Eibach Pro-Kit and Sportline lowering springs are the flagship products of this German manufacturer. 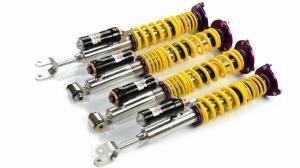 Being known all around the world, Eibach also makes spacers as B12 suspension kits which come with Bilstein's B12 shocks.